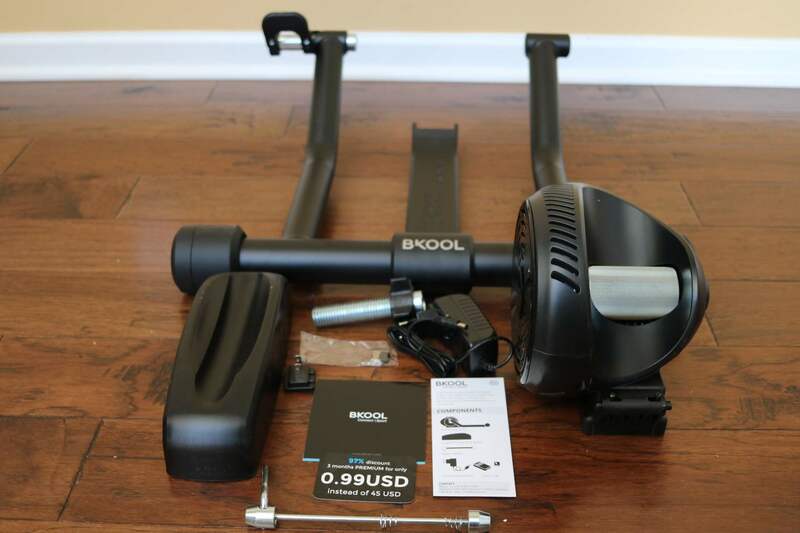 Bkool, the Spanish company, has updated its smart trainers’ line with their new Bkool Smart Pro trainer. 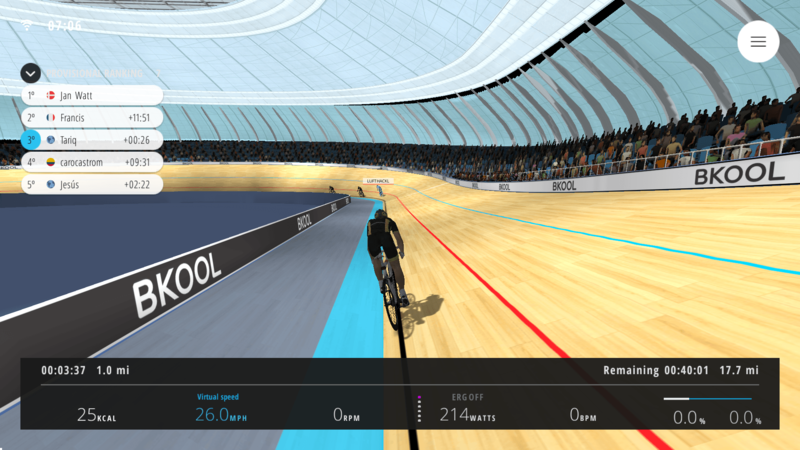 Bkool is marketing their Smart Pro trainer with their new Bkool “simulator” which is basically a cycling app. 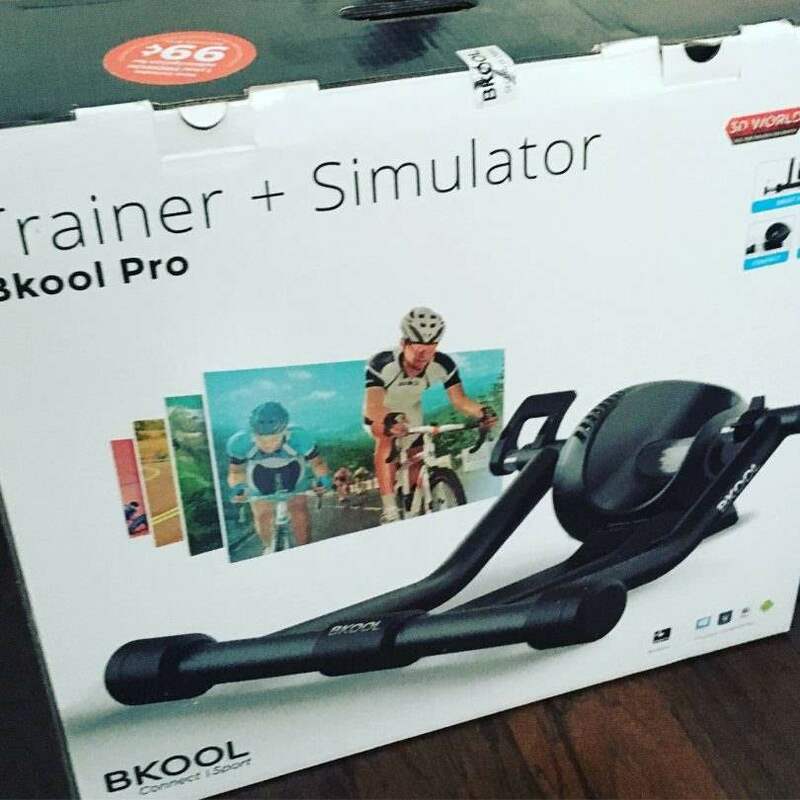 You don’t need to use both together, you could use this trainer with another third party online training platforms such as Zwift or TrainerRoad (after updating the firmware), and equally, you could use the BKool software with a competitor smart trainer. In this brief review, I will only be talking about the trainer only and will not be going into the software. I will leave that for a different post. 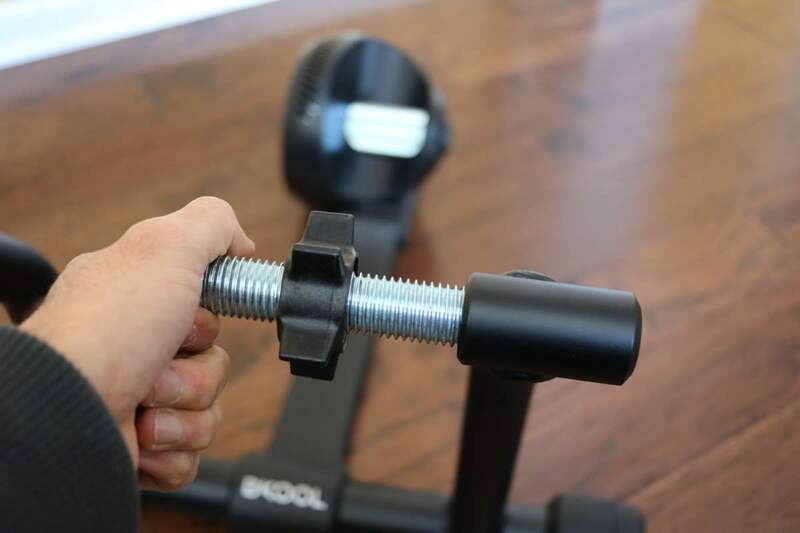 Bkool Smart Pro is a wheel-on trainer that is priced around $699 (Amazon has it for $599). It’s a compact, lightweight, plug and play trainer that can be controlled wirelessly via ANT+ or Bluetooth. 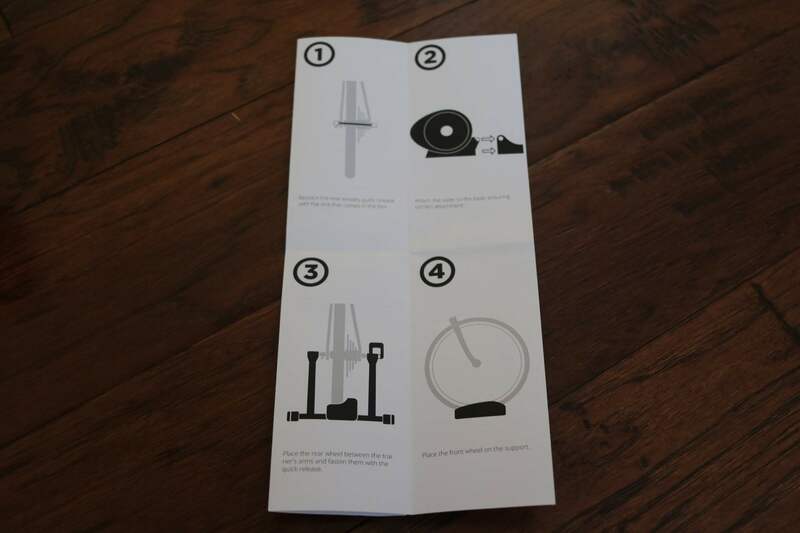 The trainer comes mostly unassembled with easy to follow instructions. 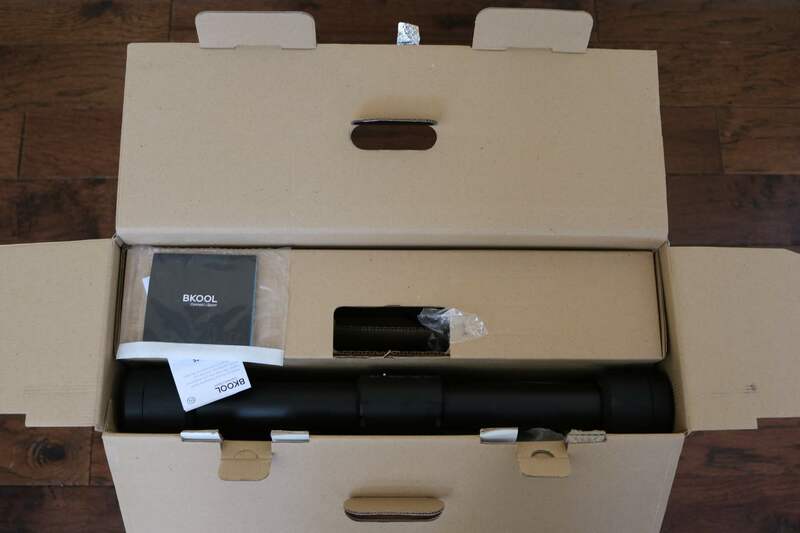 It comes with a power cord, quick release skewer, front wheel riser block, manual, and Bkool app subscription discount card. Finally, you place the rear wheel between the trainer’s arm and fasten with the quick release. Now the easy part is done, and I really do mean that! This is where things started to get a little interesting. 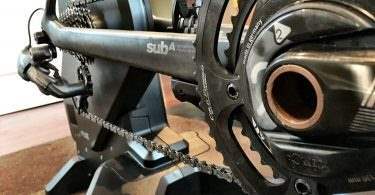 With other trainers I’ve tested at this price level, the process to connect the trainer to its app and update the firmware was very simple, and only took me few minutes. The Bkool Smart Pro was a little different. So please bare with me here. You can connect the trainer to the Bkool app via ANT+ or Bluetooth. 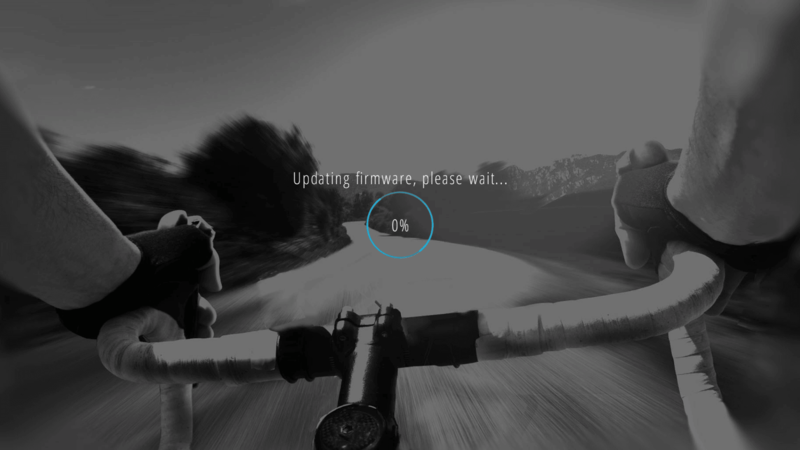 Bkool released a firmware update to allow other apps such as Zwift and TrainerRoad to control the trainer via ANT+ FE-C. The update process only works with their desktop app. It took me a while to find that out after a failed attempt to use their iPhone app which exists in the app store but doesn’t work well. The iPad app is better but you can only use it as a simulator and doesn’t do any firmware update. The other issue I have I encountered with the Bkool Smart Pro trainer is its ANT+ signal strength. My computer setup is about 5 feet away from where my trainer usually sits. I’ve never had any issues connecting to any other smart trainer with my setup. However, with the Bkool Smart Pro, I couldn’t get any signal. Unfortunately, I misplaced my USB extender and had to physically move my setup to get closer to my Mac Mini. After firing up the Bkool app on my PC, I was finally able to connect and was prompted to update the firmware. I started the update process and after about 5 minutes, it failed. I tried to run it numerous times. I tried during different times of the day and on different days thinking maybe it was a server issue on their end. After few days of trying and communicating with Bkool support, I had no luck updating the firmware and decided to abort the test at this point. Later, I was told to disable the Bluetooth on my PC. I didn’t try that so I don’t know if that will solve the connection issues or not. 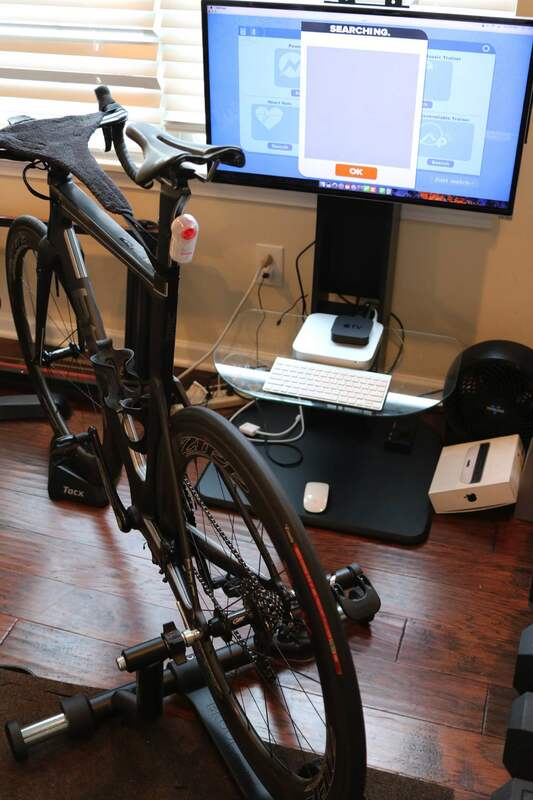 I rode the trainer using the Bkool App using the iPad and my PC. The Bkool App “Simulator” offers over 500,000 existing routes. You can also ride with your friends, no matter where they are. These routes can be in 2D, 3D, real video or map format. You’ll see the route profile at all times, and stats like distance, time, power, speed and slope. Create and participate in teams, leagues and rankings. Compete against other cyclists, real or virtual. I think the Bkool simulator deserves its own post so I will leave all the details for a later post. 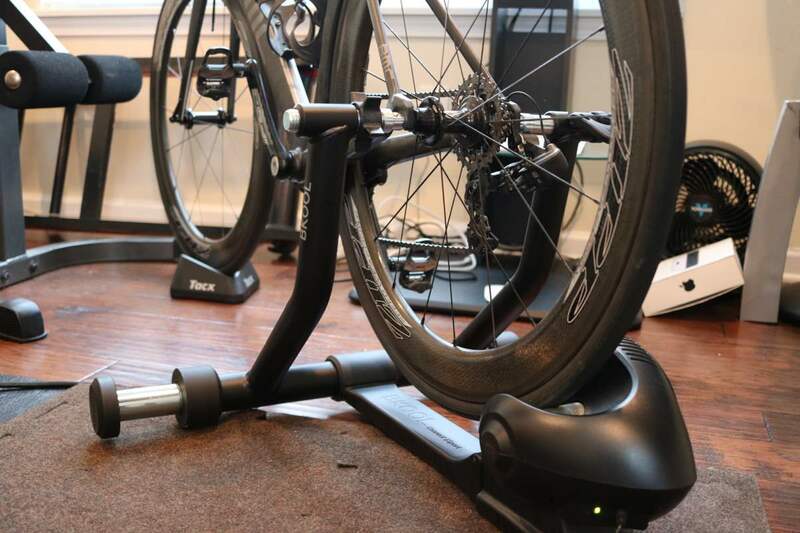 The trainer will give you speed, and power numbers and can simulate up to 20% slope and max out at 1200 watts. The trainer isn’t too noisy. Bkool claims 75dB at 20mph but the noise picked up considerably when reaching higher speeds. Power numbers were off by about 20-30 watts when comparing to my Power2Max. Other trainers I tested at this price level were a lot closer. There is no calibration process with the Bkool Smart. Ride feel felt ok and similar to mid-level trainers (< $400). It felt stable when doing steady intervals but not so much when sprinting or pushing higher watts. The Bkool Smart Pro looked intriguing, and their simulator looks promising. However, at this point, I believe the trainer itself need some work to be competitive with other smart trainers. Doing these reviews take hours. Running into setup issues are things I usually expect but unfortunately I ran out of time trying to debug this trainer. It’s possible that the trainer I received was defective. However, the inconsistencies between their mobile app for the phone, tablet, and desktop made things a little confusing and difficult to work with. 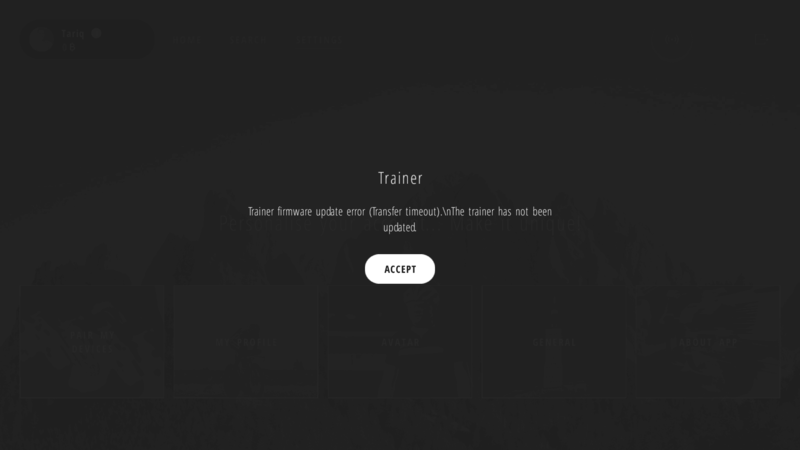 If you have the trainer and you want to use it with Zwift or TrainerRoad for example, you should be able to do so after the firmware update which I wasn’t able to complete. However, Zwift iOS currently can’t support it because it only supports trainers with Bluetooth capabilities. 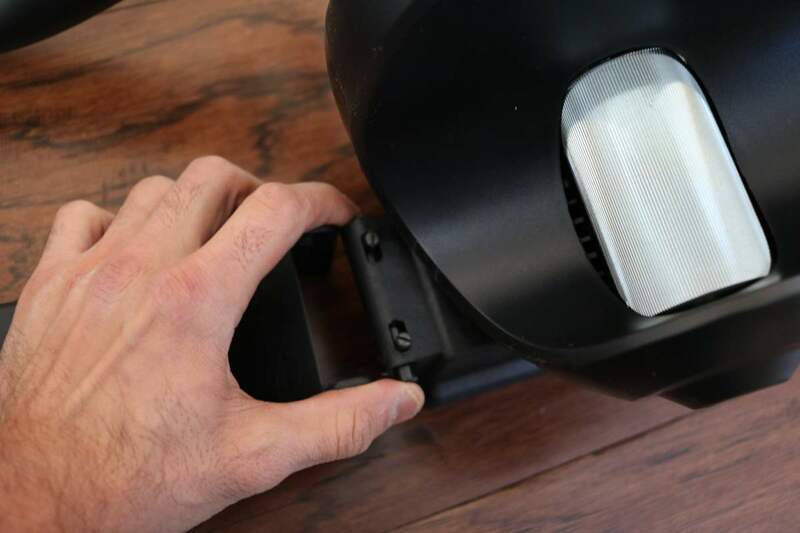 Bkool uses their proprietary Bluetooth protocol, and they have been unwilling to release their secret sauce. So for now, it’s ANT+ only. Zwift iOS is planning on releasing an update to support ANT+ devices. At this price level ($699), I think you have other and much better options out there. 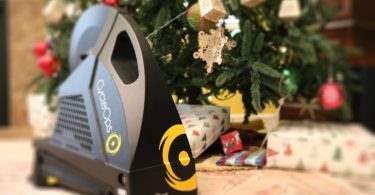 Unless you are keen on using the Bkool software, you might want to consider looking into other wheel-on smart trainers like the Wahoo KICKR and CycleOps Magnus. Compact, plug & play trainer is controlled wirelessly by your computer or tablet (Mac/Windows/iPad/Android).